Home Botanical University Challenge Countdown to first ever BOTANICAL UNIVERSITY CHALLENGE! Countdown to first ever BOTANICAL UNIVERSITY CHALLENGE! The first ever Botanical University Challenge is nigh! Hosted by self-confessed @BotanyGeek and Kew alumnus James Wong BUC 2016 will be held in the Jodrell Laboratory at Kew from 2 pm Thursday 10th March 2016. As the final teams swot up and Dr M and colleagues John Warren and Laura Rozario make the final preparations and our host @botanygeek hones his botanical repartee, Dr M thought he would offer some countdown taster questions to whet your botanical appetites. Ten questions, one for each of the ten days running up to BUC, each question will be Tweeted during the morning and later on answers will be posted here to give you time to test your botanical aptitude and expertise! Dr M says: And don’t forget, audience tickets available from Kew, Dr M and Professor John Warren. 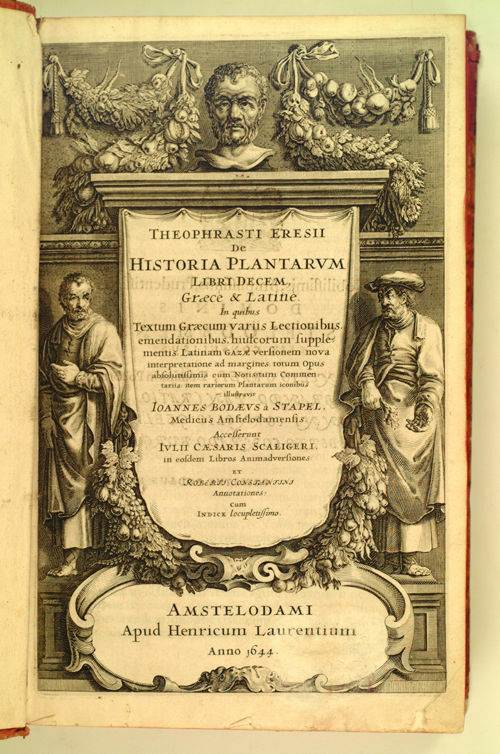 Question 1 (10 days to go): Which Ancient Greek scientist, author of Enquiry into Plants and On the Causes of Plants, is considered the “father of modern botany”? Answer: It was Theophrastus (c. 371–287 BC), a student of Aristotle who invented and described many of the key botanical principles we use today. Question 2 (9 days to go): With what does Robert Frost compare flowers in his poem “[…] compared with flowers”? 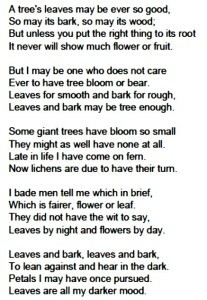 Answer: He compared flowers with leaves. 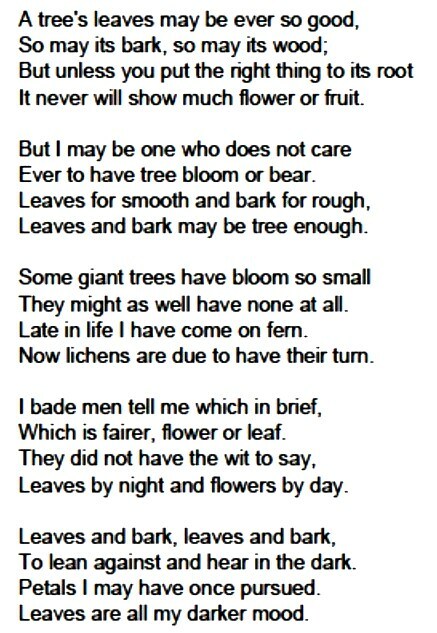 This poem “Leaves Compared with Flowers” was published in the collection “A Further Range” in 1937, the collection was awarded the Pulitzer Prize. Listen to it here. Question 3 (8 days to go): Which is the name of the cycle that plays a vital role during photosynthesis? 1. Kelvin cycle, Clovis cycle, Calvin cycle or Kermit cycle? 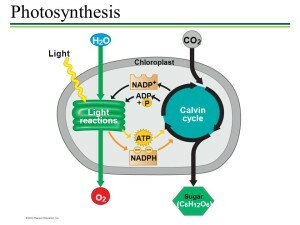 Ah, so it’s the Calvin cycle, but I guess you knew that all along! It’s just amazing how plants create their own complex food from simple carbon dioxide, water and light, but then we know just how amazing plants are! For an alternative approach to explaining light independent photosynthesis, check out this funny Calvin Cycle song written and performed by Caz, Ellie, Liz, Natti, Nicci, Phoebe & Sarah, here. Question 4 (just one week to go!) 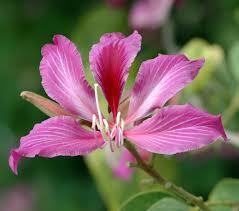 The flag of Hong Kong features the 5-petaled Hong Kong orchid tree (Bauhinia blakeana), to which family does it belong? Answer: Well, although there is a superficial resemblance to the Orchids, this plant belongs to the legume family, the Fabaceae, check out the full story here. Question 5 (6 days to go): What kind of plant is an epiphyte? Answer: An epiphyte is a plant that grows harmlessly upon another plant (such as mosses or tropical orchids or bromeliads growing on a tree trunk or branches)/ The epiphyte gets its moisture and nutrients from the air, rain, and sometimes from debris accumulating around it. 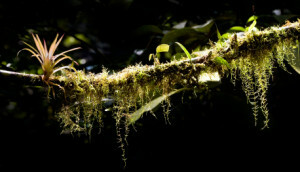 Epiphytes differ from parasites in that they grow on other plants for physical support and do not necessarily negatively affect the host. 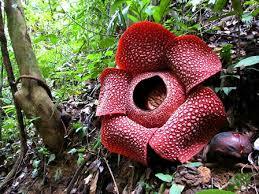 Question 6 (5 days to go): Why is the corpse flower, Rafflesia arnoldii, so called? Answer: Because the flowers stink of rotting flesh which attract carrion flies which act as as pollinators! Check out this amazing plant here. 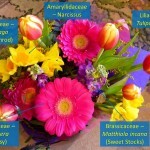 Question 7 (4 days to go): Here’s a botanical question for Mothers’ Day, how many plant familes in this Mothers’ Day bouquet?! (and can you name the plants?). Answer: Six different species in five families (including unidentified foliage). Question 8 (3 days to go): Which botanical celebrities have the Twitter feed @Botanygeek, @drmgoeswild and @John_in_Aber? 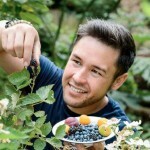 @Botanygeek Our host for Botanical University Challenge James Wong, author, broadcaster and horticulturist extraordinaire. 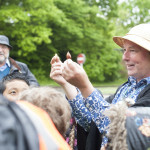 @drmgoeswild The inventor of eXtreme botany and the botanical website www.drmgoeswild and joint inspiration behind Botanical University Challenge! @John_in_Aber Professor John Warren author of The Nature of Crops” and joint inspiration behind Botanical University Challenge! Which London born botanist (b. 1904) studied in Cambridge, Stockholm and Manchester, but spent most of her career in Leeds, where she was Professor of Botany from 1946 until 1969. 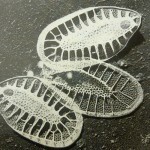 She also made significant contributions to the understanding of fern cytology and cellular ultrastructure, particularly of marine flagellates, and she was the first female President of the Linnean Society of London – from 1973 to 1976. She also had a prize established in her name, in 1990 by the Linnean Society, for the best dissertation in botany during an academic year. Who is she? 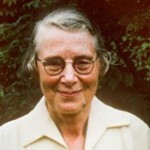 Answer: Irene Manton, find out more about this amazing woman botanist here. And while your at it name and celebrate some of the other women botanists who have and continue to contribute to our science! Then check Dr M’s post here. 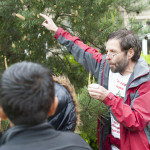 Dr M says: Watch this eXtreme botanical space for the remaining questions (and answers!) as the BUC approaches! 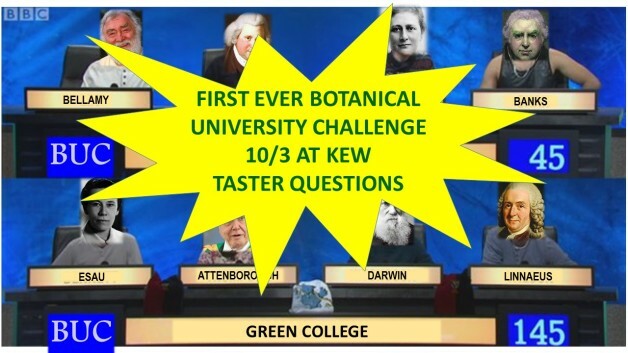 So finally here we area just one day to go and here is Question 10, it’s a tricky one this: What event unique in the history of botany will take place at RBG Kew on 10/3 starting at 2 pm in the Jodrell Lecture Theatre?! One question per day? I need more, now!